The Center for Global Initiatives’ offers the global resources of the University to educators and students across the entire state of North Carolina. From culture kits and lesson ideas to photo stories and videos, teachers at every grade level can find free global resources for their students from Carolina Navigators. 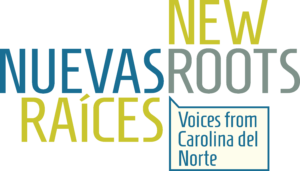 The Latino Migration Projects’ New Roots / Nuevas Raíces oral history archive features first-person stories about new Americans’ journey to North Carolina. The site includes sample lesson plans to help teachers use the first person narratives in classrooms.